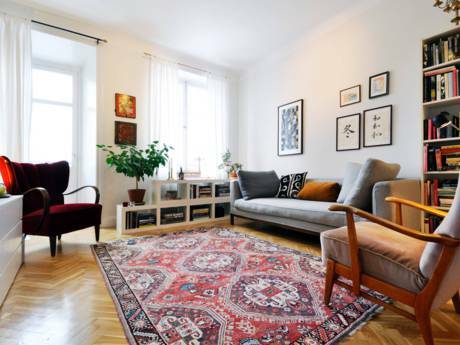 We have a two bedroom flat in Djursholm, in the northern suburbs of Stockholm. 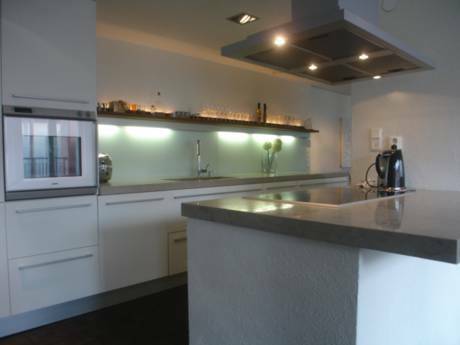 The flat is equipped to normal Scandinavian standard, with fridge/freezer, extra wide cooker, microwave and dish washer. The bathroom was completely refurbished in December 2007, with bath, shower, heated towel rails and floor heating. The house is built in a semi circle, almost completely surrounding a lovely park in the middle. There is a large playground for children and large lawns where people sun bathe in the summer. There is also communal bbq and pic-nic areas. You step straight out into the park from the patio. On the patio you have patio furniture and it's ideal for taking your meals in on sunny days. The patio has sun from 09:00-20:00 in the summer. The neighbourhood is very peaceful and we have lots of outdoor activities just round the corner. There is a reasonably sized wood just outside, two golf courses (Stockholms Golfklubb and Djursholms Golfklubb), lakes and the sea. If you're into celeb spotting you can usually find a few down the village and local super market and you reach the centre of Stockholm in ten minutes with public transport. 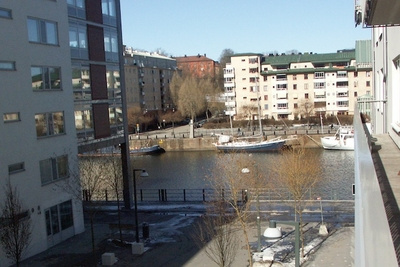 There is a large playground for children outside and one of the larger in-door shopping centres of Stockholm is a mere five minutes away. We're a couple, who have been living together for nearly ten years. No children, but plenty of cats (who won't come with us on holiday - they will be with mum). We're not terribly interested in beach areas, but prefer quaint villages and interesting towns and cities.